Turkey has invested over $1.25 billion into the fifth generation fighter project, with Washington threatening to withhold deliveries of the planes if Ankara goes ahead with the deployment of its recently purchased S-400 air defence systems from Russia. Turkey's "exclusion" from the F-35 program will have long term consequences for the US itself, Ibrahim Kalin, special advisor to President Recep Tayyip Erdogan has warned. "Turkey's removal from the F-35 program will not be a punishment for Turkey punishment, it will damage the programme [itself]," Kalin said, speaking at the annual conference on Turkish-US relations in Washington, DC on Monday. "We really have to address the issue of trust, the official added, noting that the use of language like "sanctions" by Washington will only serve to put a "dent in that relationship." "Rather than using language of threats from sanctions against Turkey, I think the people here in Congress, as well as this administration should understand Turkey's security concerns," Kalin said, adding that he didn't believe that the US could "afford to lose Turkey" as a partner. Kalin stressed that Turkey's "dialogue with Russia" and its decision regarding the S-400s "does not target a third country. We are a member of NATO. We value our strategic partnership with the United States." US officials and lawmakers have threatened to "look at" possible sanctions against Ankara in the framework of the 2017 Countering America's Adversaries Through Sanctions Act (CAATSA) if Turkey moves forward with the purchase of its S-400s. Moscow and Ankara penned a $2.5 billion contract on the delivery of four battalion sets-worth of S-400s to Turkey in late 2017. Once deliveries start in July, Turkey will become just the fourth country in the world to possess the system after Russia, Belarus and China. Designed to stop enemy aircraft, drones, cruise and ballistic missiles, the S-400 is presently the most advanced mobile air defence system in Russia's arsenal. 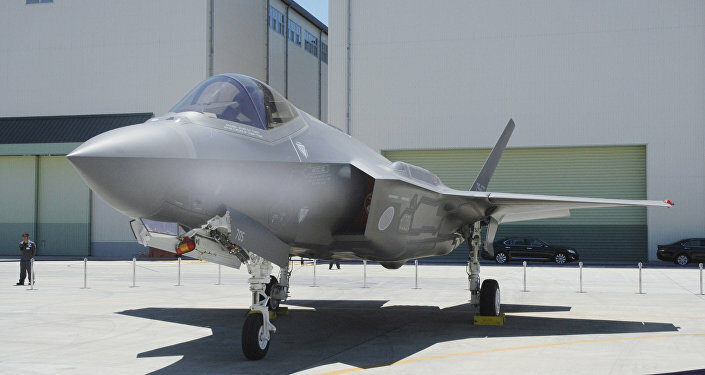 US officials and media have repeatedly warned of the possible dangers to F-35s operating in airspace where S-400s are on-duty, saying that the use of both systems simultaneously threatens to reveal invaluable details regarding the stealth fighters' operation, rendering their stealth capabilities useless. On Monday in Washington, Turkish Defence Minister Hulusi Akar promised that S-400s would not be integrated into any active NATO military systems operated by Turkey.